Think back to your favorite car of all time. Is it the 1963 Chevrolet Corvette? What about a 1965 Ford Mustang? How about a 1979 Toyota Supra? What price would you pay for one in mint condition that was actually built for you, by hand, at the manufacturer’s own factory? If you have a price in mind and your dream car is a BMW, you should find your checkbook. 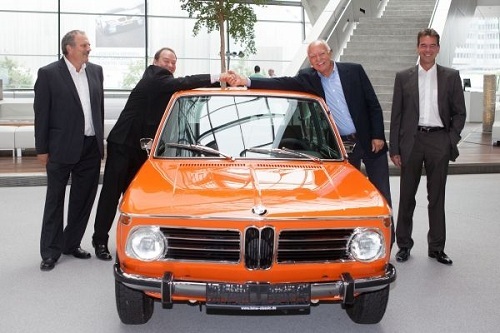 BMW Classics of Munich Germany is now in business producing A1 certified BMW vehicles to the owner's exacting specifications. Would you like a more modern sound system? No problem. Would you like the “M” treatment to your model even though there wasn’t an “M” version that year? No problem. Maybe your dream is factory spec? Done. Case in point, Mr. Hilti. His wife bought him a 1972 BMW 2000 Touring because she knew it was his favorite car of all time. Although the one she found was a wreck – literally – BMW took the car in and refurbished it to better than perfect conditions. Mr. Hilti’s customization list included a sport seat, Alpina wheel arches (done in metal of course), and more modern electronics than the car originally came supplied with. What he now owns is one of the world’s best model 2000 Touring cars. BMW is not only offering a restoration shop to its customers. A global vehicle pick-up and delivery service is offered. More interesting to many will be the chance to pick up their newly conditioned BMW at the unique BMW Welt (factory). If a perfectly restored BMW has always been on your bucket list, it is time to step forward.